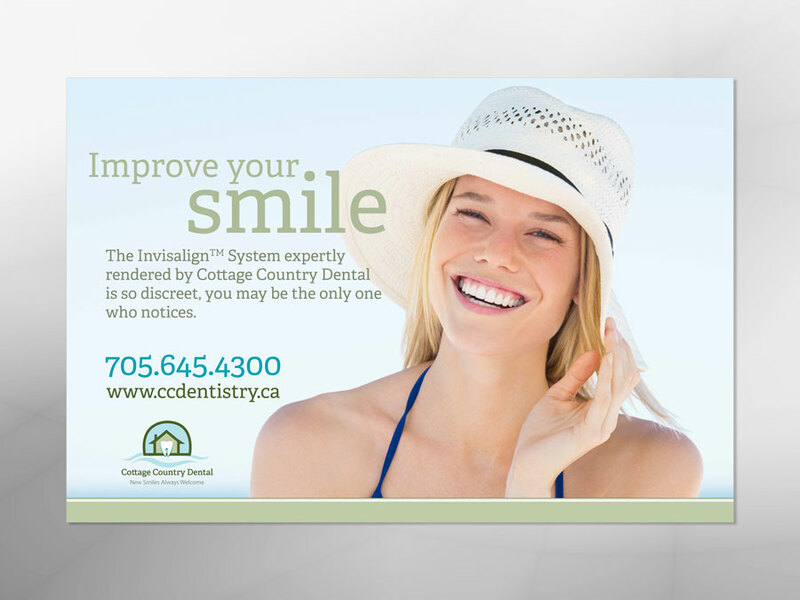 Cottage Country Dental is located in Bracebridge, Ontario. 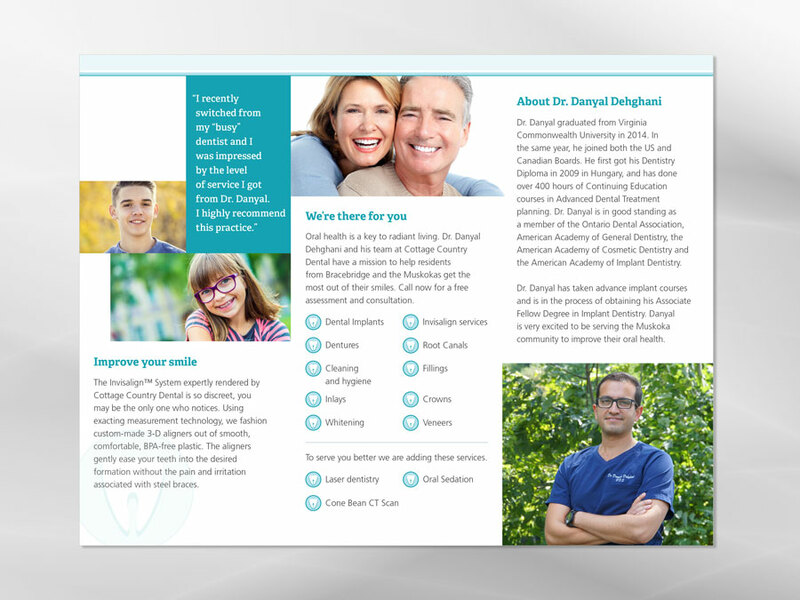 This medium sized practice was purchased by the client and one of the first things he wanted to do is rebrand. 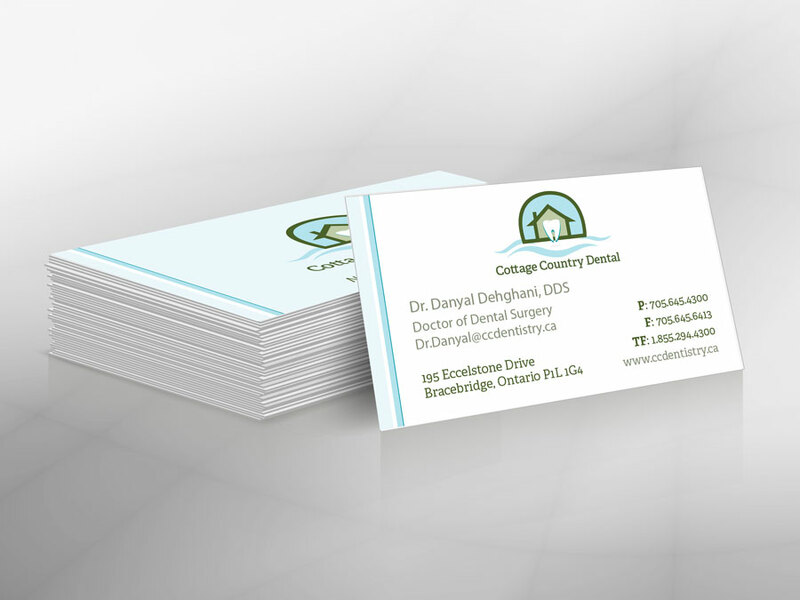 Cottage Country Dental has been in the community for many years with loyal clients, but the client wanted to make the business as their own. 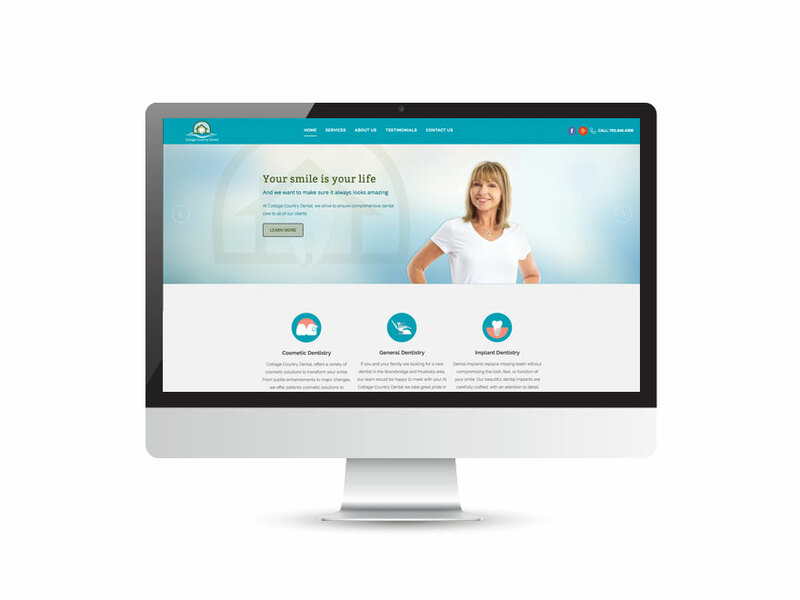 This started with a new logo for the community to identify the brand with. 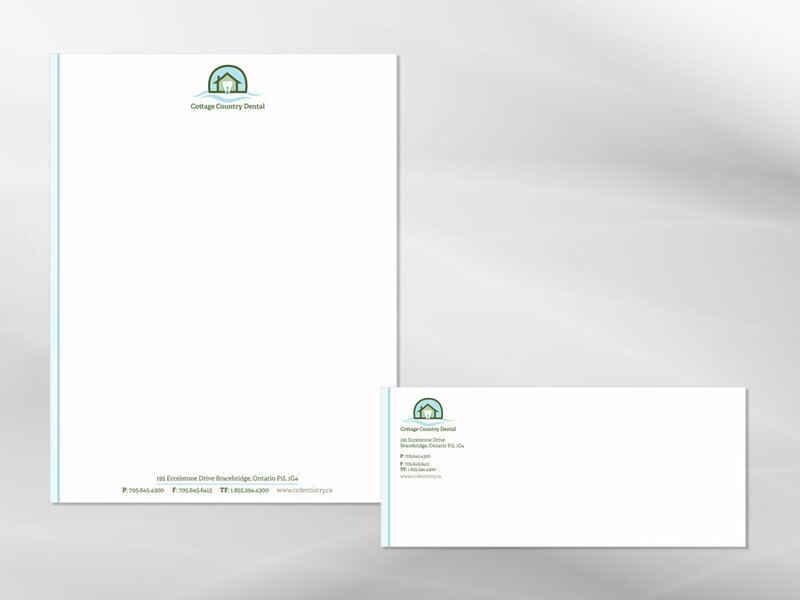 The logo had to be unique, memorable and stand out from the local competition. 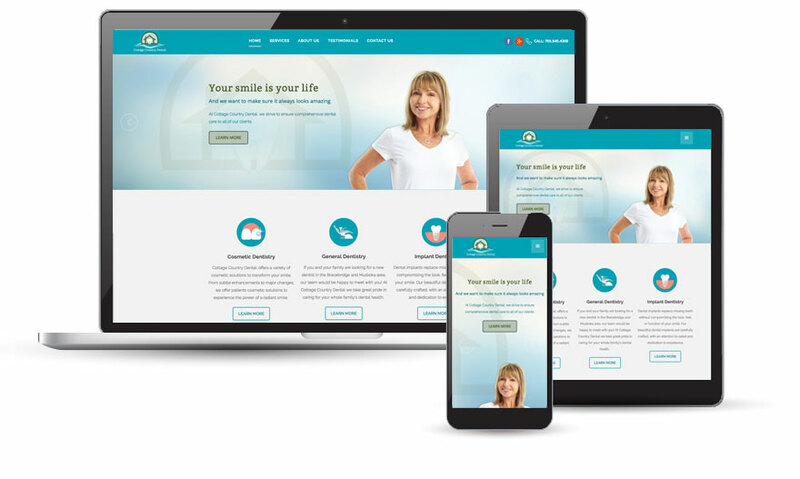 The next step was an informative and engaging website to gain potential new clients to the practice, followed by an online presence. 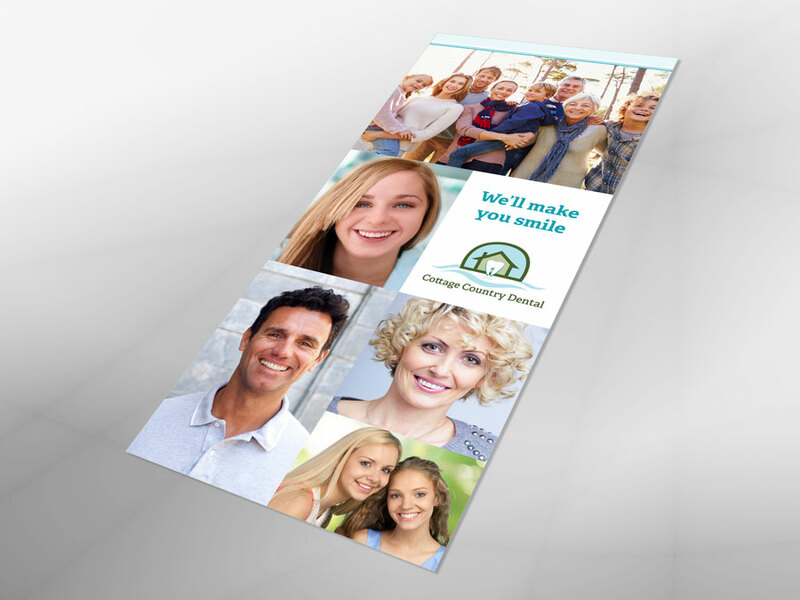 Creating new print materials such as business cards, ads and brochures helped the practice keep the existing clients happy and engaged a group of new patients.